The Allotment create a new brand identity system for 43 UK radio stations. 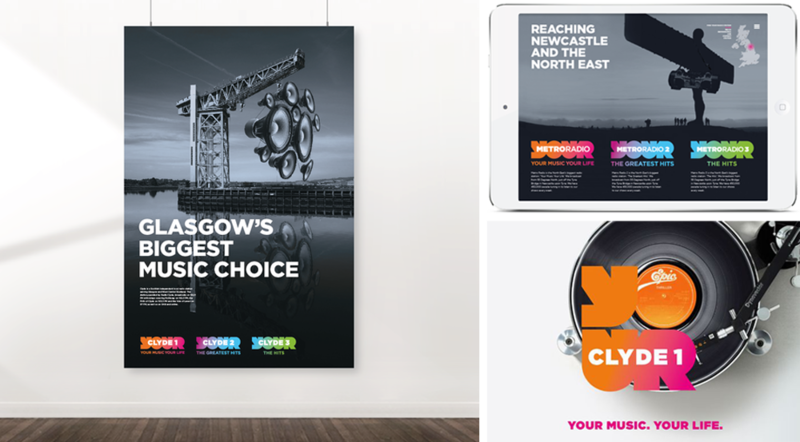 Bauer Media, part of Europe’s largest privately owned publishing Group has today announced a new multi-platform brand identity system for its Bauer Place local radio portfolio across the UK. The new identity system and brand, designed by The Allotment, will be applied to more than 17 regional radio brands and more than 43 individual radio stations. The new identity system with ‘YOUR’ at the heart of the concept communicates the core ‘Closer To You’ brand proposition of Bauer Place. It will be used to promote and emphasise Bauer’s uniquely engaging approach to the delivery of news and entertainment based on a deep understanding of their local radio audience. For further information please contact Paul Middlebrook at The Allotment on 020 7404 6841. Alternatively, see the full case study for Bauer Media here. "This was a challenging brief but we are delighted with the outcome. It is a multi-platform brand identity that is vibrant, cohesive and really unifies our extended Place local radio offering while maintaining what’s at the heart and soul of every single local Bauer station – their relationship with their listeners and their locations." Stations in the Bauer Place portfolio champion local communities and strive to deliver more relevant local programming and to unite listeners in the places they live. Dominating the premier cities and towns across the UK, Bauer Place is big in all the right places, as commercial market leader in all of our 21 markets, including Manchester, Liverpool, Glasgow, Aberdeen, Belfast and Southampton. Bauer Media UK reaches over 22 million consumers in the UK alone through a portfolio of world-class, multi-platform media and entertainment brands including Kiss, heat, Grazia and Empire. It creates and curates entertaining media content that audiences love whenever, wherever and however they want through a multi-channel strategy and a focus on product excellence and audience insight. The result is an exciting array of influential brands, content and talent which provide compelling and engaging advertising opportunities with valuable audiences for UK commercial partners. Bauer Media UK is part of the Bauer Media Group, one of the world’s largest privately owned media businesses with media assets all over the globe.